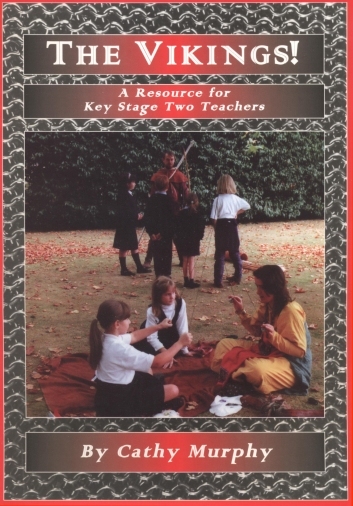 The Vikings - A Resource for Key Stage Two Teachers is an invaluable resource, which has been developed with input from practising classroom teachers. It provides an innovative bank of activities which may be used as the basis of an Invaders and Settlers topic or to supplement an existing scheme of work. The activies are closely linked to the National Curriculum. The Vikings focuses on skills which encourage critical historical thinking in children. All of the suggested activities are supported by material which is designed to be photocopied, as well as additional teaching ideas. To order a copy, please click on the Paypal button below, or complete our order form. Please allow 14 days for delivery. If you wish to be sent an invoice with delivery, please state this when writing.